Every Service Provider & Support Staff at The Hair Company work on a Level System. The level system accomplishes two main goals. The first is to provide a career path of growth and achievement for our team. The second is to provide several options for your various needs. Guests may choose the level that best fits their needs and their budget. The designers level of competency or creativity is not necessarily related to the years of experience he or she has. This is a common misconception. The training our team receives is aggressive, consistent, innovative and in-depth. It starts from the moment they are hired and continues through their entire career with us. At The Hair Company our service providers achieve promotions based on several factors. These factors include guest satisfaction, guest retention, performance, and education. 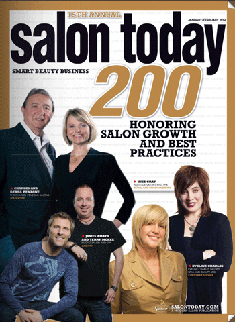 Thanks to our very special guests, and our amazing team of dedicated professionals, The Hair Company was named one of the TOP 200 SALONS IN THE NATION by Salon Today Magazine. This is the 8th time we've received this honor. 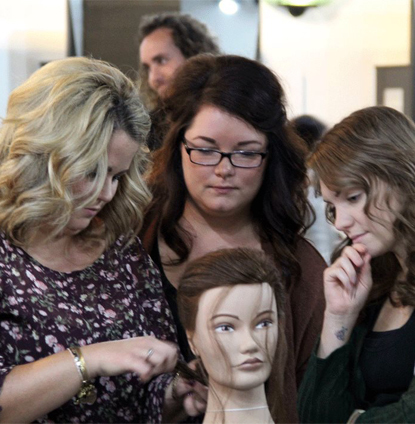 The Hair Company was one of only 3 salons that were honored in more than 8 categories. Also one of only 3 salons recognized in Maryland.